There’s a reason why one of the largest U.S. construction companies likes green design so much. During the U.S. recession, new construction activity declined substantially. But construction of green buildings increased by 50 percent between 2008 and 2010. Why? Building owners no longer see green design as "cute," they often see it as a cost savings tool or a true value-add to their portfolio. In this week's show, we'll talk with Michael Deane, chief sustainability officer at Turner Construction, one of the largest construction companies in the U.S. Every two years, Turner releases its Green Building Market Barometer assessing what companies think about green design. Deane discusses what he's seeing in the market as customers embrace the concept and create their own internal standards. Don't forget to subscribe to this podcast on iTunes to get automatic downloads whenever we post a new show. You can also subscribe to our RSS feed here. 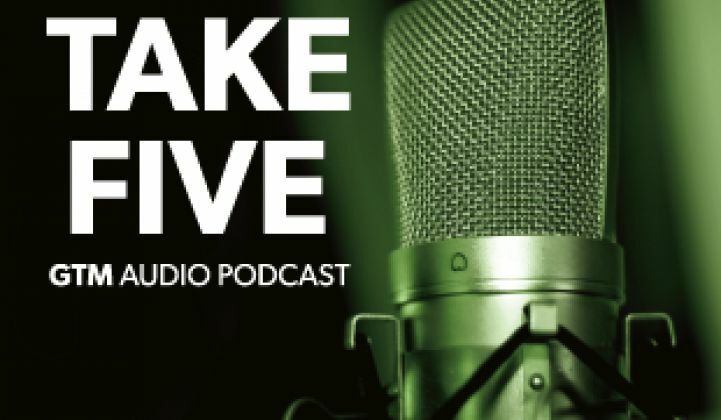 Our weekly podcasts let you hear from industry experts, GTM research analysts, editors, reporters and other special guests. Stay tuned and thanks for listening.